The perfect gift for any weaponry collector or Eastern history buff, the Hand Forged Samurai Sword with Red Scabbard is expertly crafted to create a beautiful and one of a kind display inspired by the rich Japanese culture. 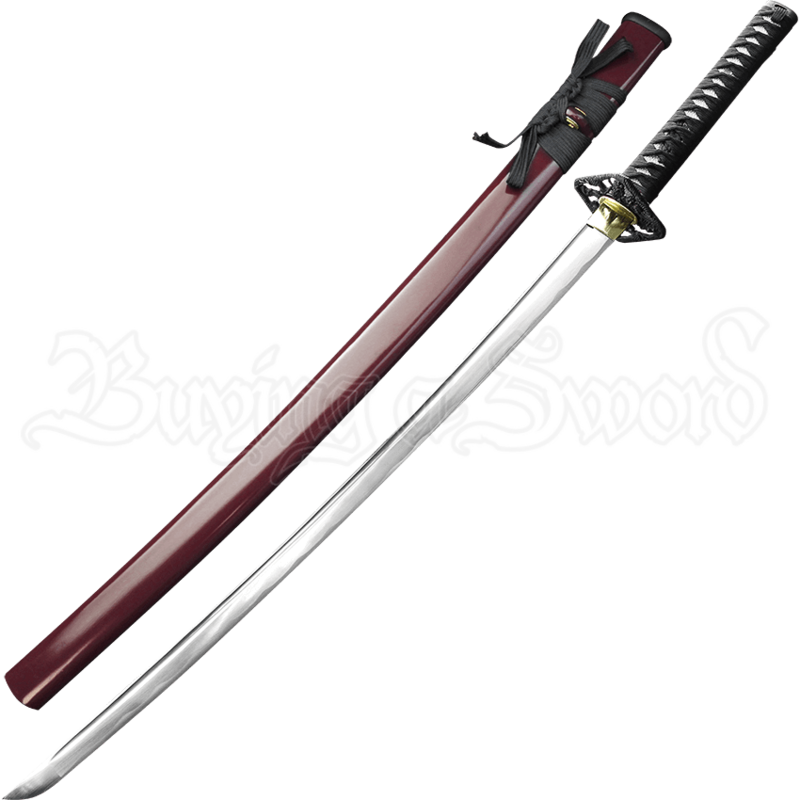 This sword features a carbon steel blade with a long fuller. The exquisitely crafted black hilt features intricate oriental inspired designs, while black cord is wrapped tightly around the handle for an eye catching and authentic appeal. 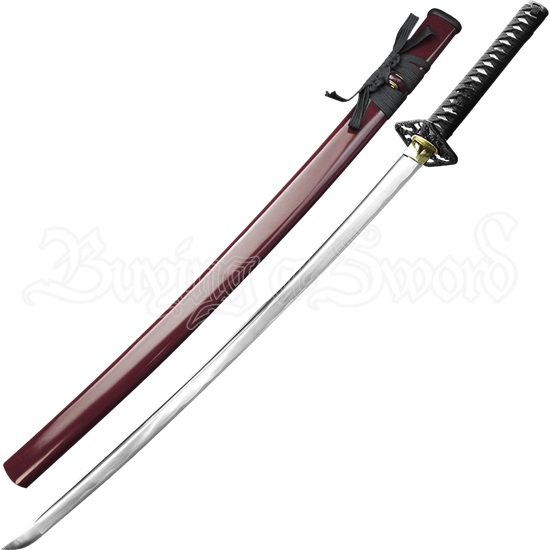 This handmade samurai sword comes in a scabbard in a deep burgundy hue with a tied black cord accent, and it also comes with a black bag and a black box that is beautifully decorated with bright red Japanese floral designs. The Hand Forged Samurai Sword with Red Scabbard is the sword that will set your display apart thanks to its handmade quality and creative style.